Submit property for sale to Naga City Guide. Naga City Guide has a licensed in-house real estate broker affiliated with one of the biggest realty companies in Naga City. Click on the relevant form below. Choose the first form if you’re submitting a lot for sale. Choose the second form if you’re submitting a house and lot for sale. We now accept listings of properties whether for-sale-by-owner or for-sale-by-broker. We do not accept project listings. 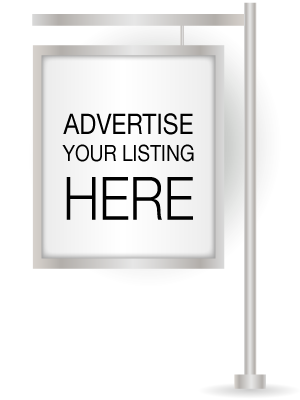 Listings may be Free, Paid, or "For Brokerage". Learn more below. At this time, we only accept listings submitted by the property owner or his/her authorized representative. Free listings will be non-clickable, will have no landing page, and will appear with limited info and without pictures. Paid listings will be clickable, will have their own landing pages that show complete listing information and photos. Those who choose the Paid listing option will be contacted by Naga City Guide for payment instructions. Choose "For brokerage" if you want Naga City Guide's in-house broker to sell your property for you. Those who choose "For brokerage" shall be sent a broker agreement contract by Naga City Guide. *Required when choosing "Paid listing" or "For Brokerage". Indicate N/A if choosing "Free listing". Please describe your property in great detail. Measurement of the property's frontage, in meters. Your property's frontage is the side of the lot that opens to and is adjacent to the road. If lot is part of a subdivision/project development, what is the name of the developer in charge or what is the name of the development? If not applicable, write N/A. Photos are required. Please comply. Please read the terms and conditions of this submission. Submitting your property listing means you explicitly acknowledge that you have understood and hereby accept our terms and conditions. You explicitly state and claim that you are the owner of the property OR that you have the requisite authority to list the property for sale at Naga City Guide. Free Listings will show only limited information, regardless of how much information you submit to Naga City Guide. Paid Listings come with a listing fee of only PhP 500 (five hundred Philippine Pesos) per month. Paid listings will be automatically removed after the paid-up period ends, unless the listing is renewed before the end of the paid-up period. After receiving your listing submission, Naga City Guide will contact you for payment instructions. You explicitly state and claim that you are the owner of the property OR that you have the requisite authority to assign brokerage rights to Naga City Guide. Naga City Guide has an in-house, licensed broker. Submitting your for-sale property to Naga City Guide means you hereby grant authority to Naga City Guide - specifically its in-house broker - to sell your property. Naga City Guide's licensed broker is affiliated with a registered brokerage company. All real estate transactions shall be made by Naga City Guide via this registered brokerage company. After receiving your submission, Naga City Guide will contact you to discuss the terms of Naga City Guide's representation of your property in the real estate market, to conduct an ocular inspection of the property, to get more details on the property if needed, and to get your signed agreement authorizing Naga City Guide's in-house broker to represent you in real estate transactions. Naga City Guide may publish online - on its website and/or on its social media accounts and/or other places online - details about your property to generate interested leads. Inquiries generated through or via Naga City Guide will be deemed leads generated by Naga City Guide and will be registered accordingly. As with standard professional real estate brokerage practice, Naga City Guide will earn a professional fee after being instrumental in selling your property. The professional fee's rate shall be indicated in the brokerage agreement. We accept listings submitted by the property owner or his/her authorized representative. Measurement of the property's frontage, in meters. Your property's frontage is the side of the house that opens to and is adjacent to the road. A photograph of the exterior front of the property.